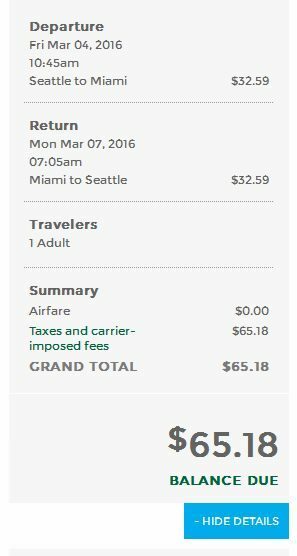 Frontier Airlines is showing some ridiculous prices from Seattle to Miami at the moment. The prices are low enough that it's possibly a mistake, so don't make further plans until at least 24 hours after booking. Try dates in January, February, March, or April 2016. Many date combinations are showing up as $65 USD, which works out to $104 CAD when booking with a Canadian credit card. flight deals, seattle, sea, miami, mia, florida, united states, north america and frontier airlines. 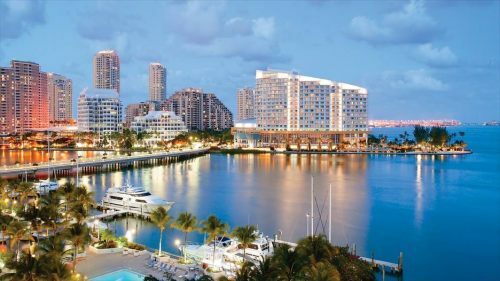 5 Responses to "Seattle to Miami, Florida - $104 CAD roundtrip including taxes | January to April 2016"
A transcontinental flight with an overnight both ways in a legalized cannabis state. Heck yeah, thanks a lot! got the deal! thanks, Chris!! Hope it won't got cancelled. when shall I start to look into hotels? As we approach 48 hours since the booking, and there hasn't been any news to the contrary, I would say it's safe to start booking hotels. Everything appears solid. Frontier's baggage rates are ridiculous and cost more than the flight itself, lol.